The SmartROC D60 drills accurate quarry, construction and surface mining blastholes from 4 ½ to 7 in. (11.4 to 17.7 cm) in diameter. 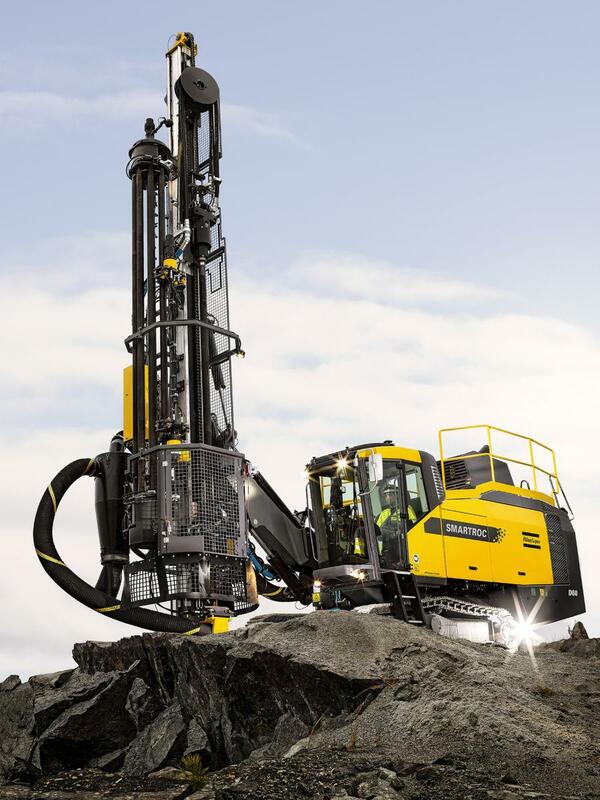 Raising both productivity and consistency comes with the automation capabilities of the Atlas Copco SmartROC D60. The SmartROC D60 drills accurate quarry, construction and surface mining blastholes from 4 ½ to 7 in. (11.4 to 17.7 cm) in diameter. The versatile down-the-hole (DTH) drill rig also can be used in toe-hole, dewatering and horizontal drilling applications. The SmartROC D60 rig's increased automation capability optimizes efficiency for consistent productivity. Hole navigation system (HNS) and auto positioning features improve fragmentation characteristics by precisely locating holes, accurately collaring and drilling them to the required depth and inclination. The standard SmartROC D60 feed eliminates the need for inductive sensors, ensuring more reliable handling of 16.5-ft. (5 m) drill steel from built-in sensors of its rod handling cylinders and carousel motor. The rig's auto rod handling feature automatically adds and then extracts rods when desired depth is reached. Its feed can be positioned horizontally, making service and maintenance routines even easier. The SmartROC D60 rig's improved fuel economy from its 475 hp, Tier IV Final Cat C15 turbo charged diesel engine is achieved through intelligent control of compressor load and engine rpm. Estimated fuel savings can be as great as 15 percent over similar rigs, according to the manufacturer. “The development of this rig is the latest in our drive to produce a wider range of surface drill rigs giving better results at lower cost. It's the smart way to go in today's economy,” said Wentworth.